The faucets are generally made of metal materials, and some reports indicate that the faucet has a heavy metal exceeding the standard, especially the lead content. 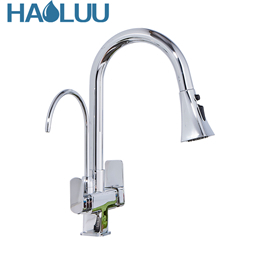 The faucet in the kitchen is directly related to the health of drinking water. If the faucet is not properly purchased, it will seriously threaten the safety of family members. When buying a kitchen faucet, how can we ensure the safety of the water source? Let's take a look at it together? Note: 1. 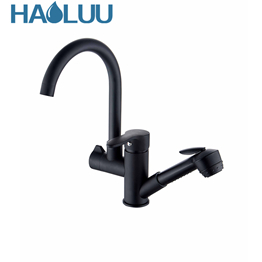 For the material used for the main material, it is recommended to choose the faucet with copper as the main body, because its sterilization effect is better, it meets the drinking water standard, and it is not easy to rust. What is difficult to distinguish is what kind of material is the faucet, so let's teach you a way to identify whether it is copper. Knocking with your fingers, the sound sounds dull, it is copper. If the sound is very brittle, it may be made of other materials and its quality will be poor. 2, the appearance of the second, easier to observe and the appearance. 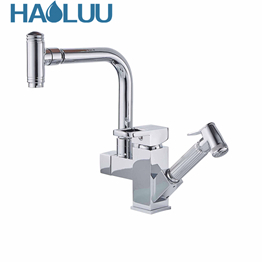 In general, the surface of a good quality faucet is treated with multiple layers of plating. The surface will be brighter and smoother, and the overall appearance will look even. The faucet that has undergone this series of processes will have scratch and corrosion resistance and of course extend its service life. 3, the valve core and the valve core can be described as the "heart" of the entire faucet, the materials used are more critical. Try to use ceramic chips because it is more sealed and will take longer to use. And it is not prone to leakage, and it will be much smoother to use. If after a period of use, the amount of water is reduced, you can gently unscrew the filter at the water outlet to remove any impurities left on it, and you can return to the smooth flow. 4, the water is large, fast, the last step is to see the amount of water from the faucet (but not to know after installation). It is best to buy a faucet with a large amount of water and a softer speed, and a faster speed, so as to avoid too much waste of water. The height of the proposal is higher, and the nozzle is as long as possible. It is better to extend above the drain, so that it is not easy to splash water, and the water can be used reasonably. For the convenience of use, the kitchen faucet should be higher, and the spout should be longer. It is better to extend above the drain and not splash. If there is a hot water line in the kitchen, the double tap is the best choice. In order to meet the needs of various uses, most kitchen faucets can now be rotated left and right. In recent years, the new pull-out faucet can extract the faucet, which is easy to clean to all corners of the sink, and can also be rotated 360 degrees.